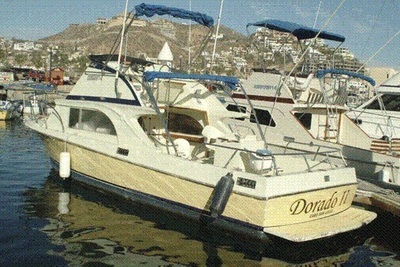 Another of the fleets nicer 28' Cruisers. 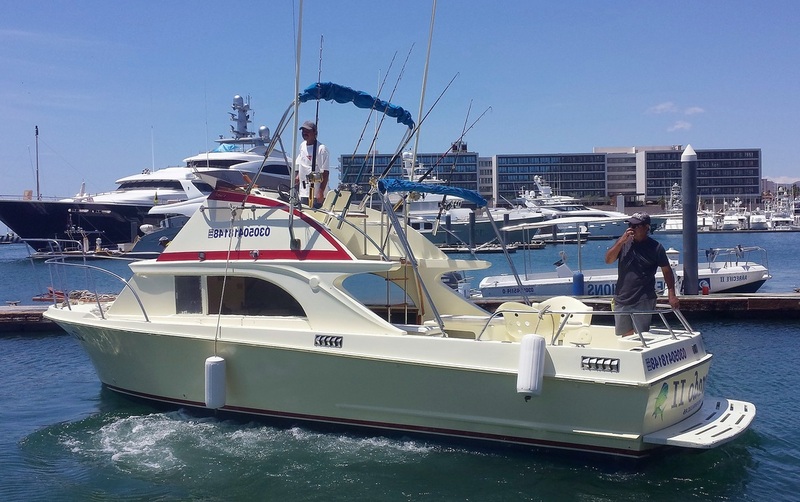 This California was recently refurbished & engine updated to a fast Turbo Yanmar and is well equipped with Penn Gear, outriggers, flybridge, shade, restroom, live bait tank, VHF, two fighting chairs. 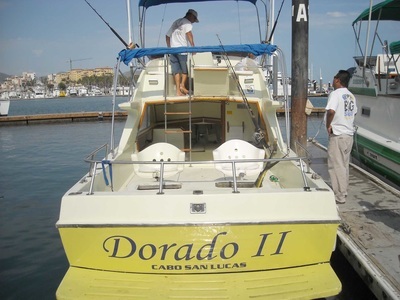 This is another one of our more popular boats so book early for a chance to fish on the "Dorado II". Why not add food, drinks, bait, & license so you don't have to worry about anything but just getting on the boat! 2- anglers $115 day extra includes in addition to regular charter: 10-live bait, lunch, license, dock access fee & 12 drinks (all beer or mix of soda/water/beer) , 4- anglers inclusive option $190 day extra -includes in addition to regular charter: 10-live bait, lunch, license, dock access fee & 20 drinks(all beer or mix of soda/water/beer).